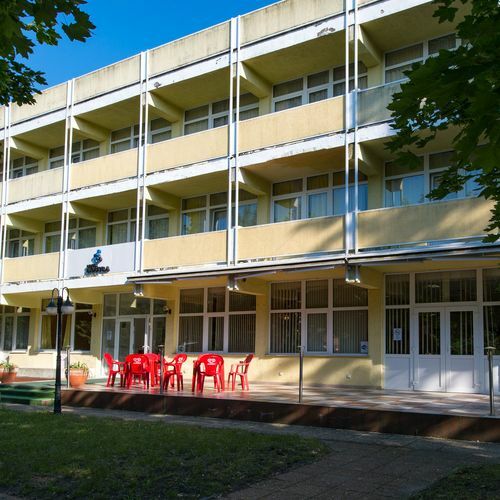 Rooms, services Nostra Hotel Siófok is offering 41 nicely furnished rooms to stay in to those seeking accommodation in Siófok. Services designed especially for small children ensure that the complete family will have a nice time at this hotel. The hotel is prepared to host pets as well, so for an additional fee you may also take yours along. Since the hotel has an own restaurant, you may also try fine local meals on the spot. If you are arriving by car, the hotel will provide you a parking space without charging you any extra fees. You can browse the Internet via wireless connection (WiFi) available at the hotel. To learn more about the exact range of services of Nostra Hotel Siófok (including services for an extra fee) and the exact equipment of the rooms, please check the information sheet below and the information sheet of the respective rooms. Location In case you'd like to have a holiday next to Lake Balaton, you'll certain appreciate the fact that the closest beach is located only 350 meters away. Catering Rich and tasty breakfast will be served to you at the hotel every day, which is already included in the price of your stay. The hotel is also offering half board to the guests - if you'd prefer to select half board as the type of catering, you will be able to indicate this to the booking. Payment The hotel is offering the following methods to pay your reservation: cash, bank transfer, credit card. Nostra Hotel Siófok requires 30% advance payment prior to finalizing your reservation. Arrival, opening hours The earliest time to arrive is 14:00, the latest time to leave the rooms is 10:00. English, Hungarian and German languages are spoken by the personnel. 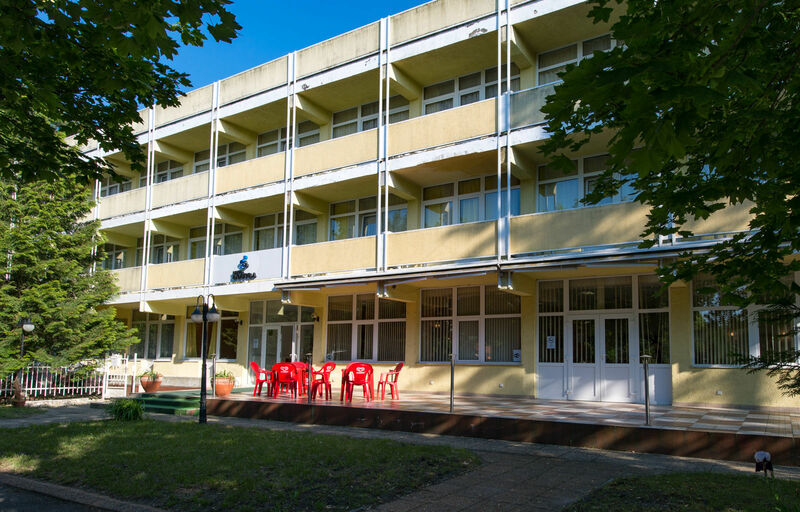 The rating of Nostra Hotel Siófok is 8 from the maximum 10, 119 based on actual and valid guest ratings and reviews. "Az ágy le volt szakadva, ezt egy aláhelyezett rekesszel oldották meg! Aludni nem lehetett rajt." "A szálloda előtti parkoló kevés férőhelyes, a kocsi alja leér a vizesárok miatt." "A szoba egyszerű berendezésű, amivel nem is volt gond. A tisztaság nem volt megfelelő, a mosdóból kellemetlen szennyvízszag áradt folyamatosan..."
"A személyzet kedves és segítőkész volt mindenben. A reggelis ellátás olcsó, gagyi minőségileg silány termékekkel történt. A személyzet ízlésesen tálalt, az elfogyott tálakat folyamatosan pótolták."